ProjectCenter’s dashboard welcomes you into your project with a quick and easy overview of the issues and events that drive action. 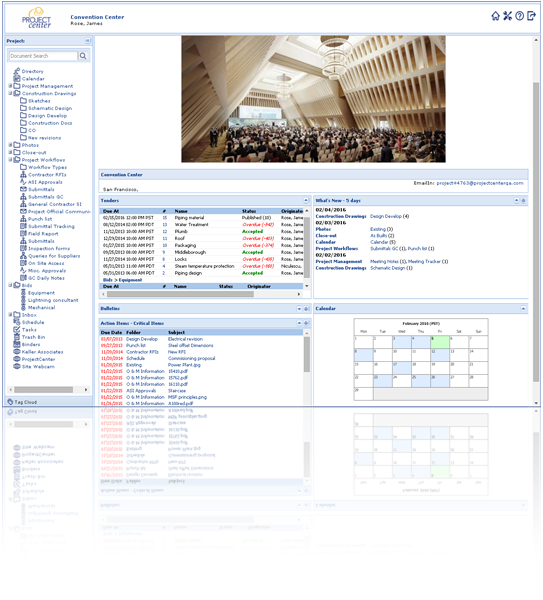 Dashboard panels can be easily configured to give you the information you need most: A list of your projects, newly added information; notifications of upcoming events; tasks that require your action; and more. Sign up now to see a free demonstration of our software solution! The best way to understand how online collaboration works with ProjectCenter. 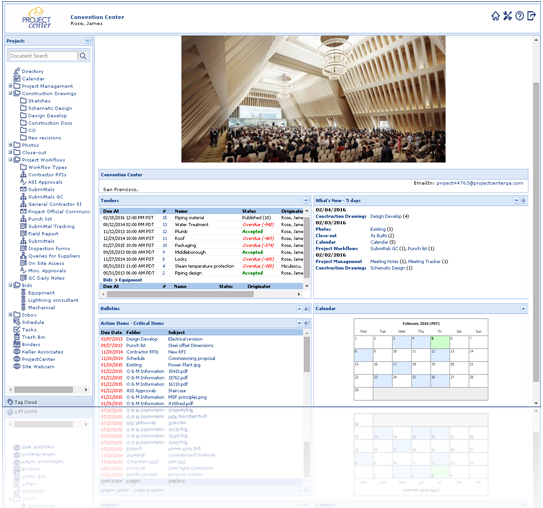 ProjectCenter is an online collaboration and management system for managing projects of different scopes and industries (infrastructure development, energy and supplies, environment, industrial and residential construction, etc.). Since its launch in 1998, ProjectCenter has been used by thousands of companies around the world to control and reduce costs and improve the efficiency in project management. Utilizamos cookies para garantizar la mejor experiencia posible. Si permanece aquí asumimos que acepta su uso.